Jetted tubs can be relaxing, they can relieve stress and they can even help your health. Before you consider purchasing a jetted tub, you’ll need to consider the advantages and disadvantages before you make your decision. Jetted tubs are a great way to relieve stress and relax. You’ll be able to soak in warm water while the jets relieve sore muscles and joints and improve your circulation and flexibility. Jetted tubs are often recommended as part of a health or physical therapy regimen. Not only can jetted tubs be used to improve your health, but they can be used for recreational purposes too. Getting a jetted tub may be one of the best purchases you’ve ever decided to make. Although a jetted tub has many advantages, they also have numerous disadvantages. If money isn’t a problem for you, the amount of disadvantages is minimal. The worst disadvantage is the cost of a jetted tub. Jetted tubs usually start around $1,000, and they can even exceed $5,000, depending on the jetted tub that you purchase. 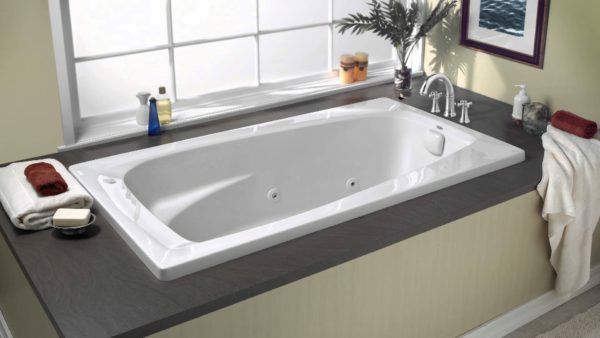 Jetted tubs that exceed $5,000 are high-end models with many features. If you decide to purchase a jetted tub, you should expect to spend $2,000 for one that’ll likely meet your needs. The price of a jetted tub usually doesn’t include installation fees. It’s important to keep in mind that jetted tubs are large, deep and heavy. You’ll need a large bathroom, and you may need to build a platform to support the jetted tub. Before you consider purchasing one, it’d be wise to contact an experienced plumber to discuss what it’ll take to install one. Jetted tubs use more water compared to standard tubs because of their size. Since they use more water, that means that your water bill will increase. Using more warm water will increase your electric bill. Not only will they increase your electric and water bill, but they’ll also put a strain on your hot water heater. Filling up a jetted tub will probably empty the amount of warm water in your hot water heater. Jetted tubs require a lot of maintenance. Not only will you have to clean the surface of the jetted tub, but you’ll also have to clean the air tubes. Cleaning processes vary depending on the model you purchase. Higher-end models usually have self-cleaning cycles. Self-cleaning cycles will blow excess moisture out of the air tubes. If you don’t clean your jetted tub frequently, mold, mildew and algae will grow. Before you consider purchasing a specific model, you should see what other people say about the amount of noise it produces. Some jetted tubs produce loud noises, and some don’t, but they’ll never be completely silent. It’s important to read reviews, and do your research before purchasing one. If money and cleaning isn’t a problem for you, you’ll likely love having a jetted tub in your home. If you’re experiencing sore muscles and joints, all you have to do is simply sit in the jetted tub with warm water and the jets turned on to relieve the pain. Be sure to contact a local, experienced plumber for more information.